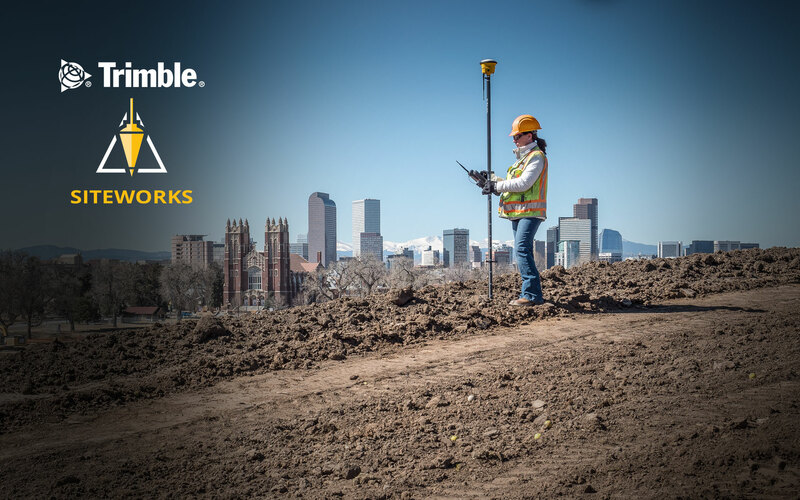 The Trimble Siteworks Positioning System for Construction Surveyors is comprised of the Trimble SPS986 or SPS785 GNSS Smart Antenna, the TSC7 Controller or Trimble T7 Tablet and Siteworks Software. It enables construction surveyors to work with complex 3D models, collect large data sets faster, visualize complex 3D models more easily and work day or night efficiently. 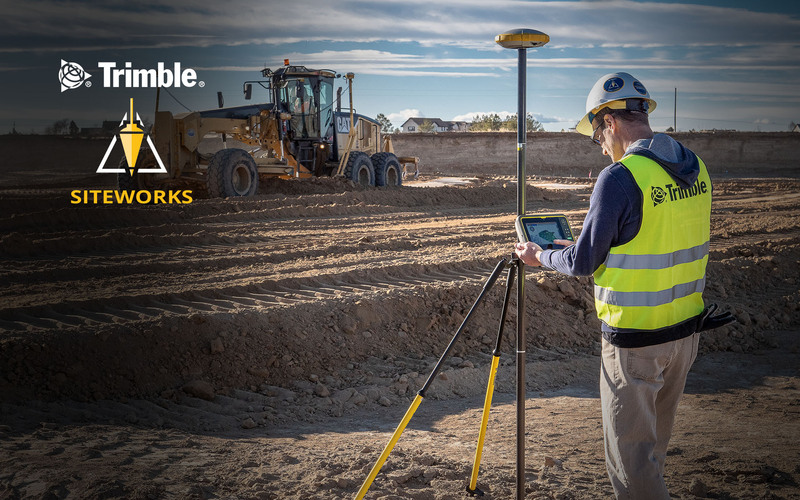 The Trimble Siteworks Positioning System for Supervisors includes the SPS986 or SPS785 GNSS Smart Antenna, Trimble T10 Tablet and Siteworks Software. Construction supervisors can run full office software packages, including Trimble Business Center and Microsoft Office, and work easily with data and 3D models in the field without carrying a laptop. 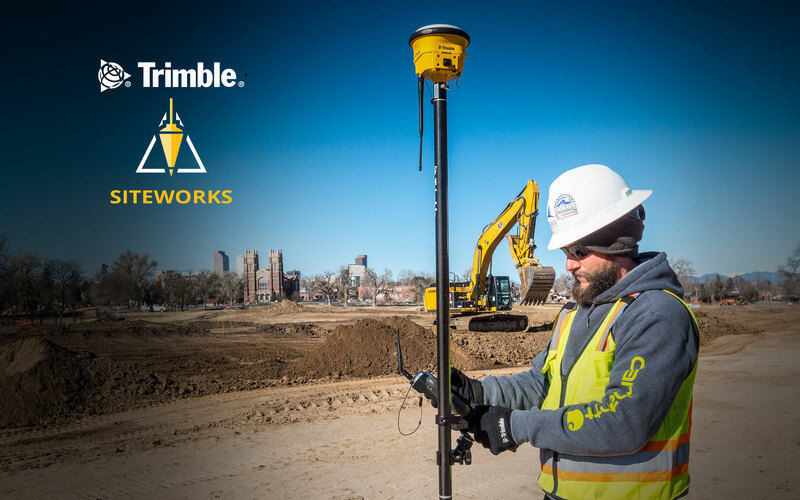 Work faster and better with Trimble Siteworks Software. The modern interface is optimized for ease-of-use and productivity. Colorful graphics, natural interactions and gestures make Siteworks intuitive and easy to learn. Personalize the interface to match your workflow, and configure views to suit your needs. Big screen, giant potential - a big screen, powerful processing power and Windows 10 means you’re carrying all the potential of a laptop—right in the palm of your hand. 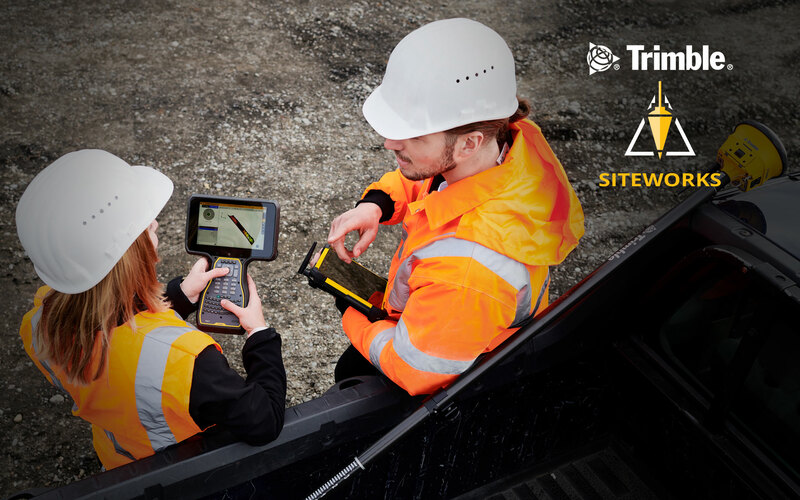 The military grade Trimble T10 and T7 Tablets give you high performance processing power in the field. Engineered to stand up to the most dynamic and rugged jobsite measurement applications, the integrated smart antenna design and quick release connector make it easy to transport and quick to set up. With full GNSS tilt compensation, capture accurate points while standing, walking or driving the site in a vehicle. Click here to see the Tilt Compensation infographic. Fully capable GNSS receiver featuring proven Trimble quality and accuracy, priced for a faster return on investment. For construction companies, time is money, and every minute counts. 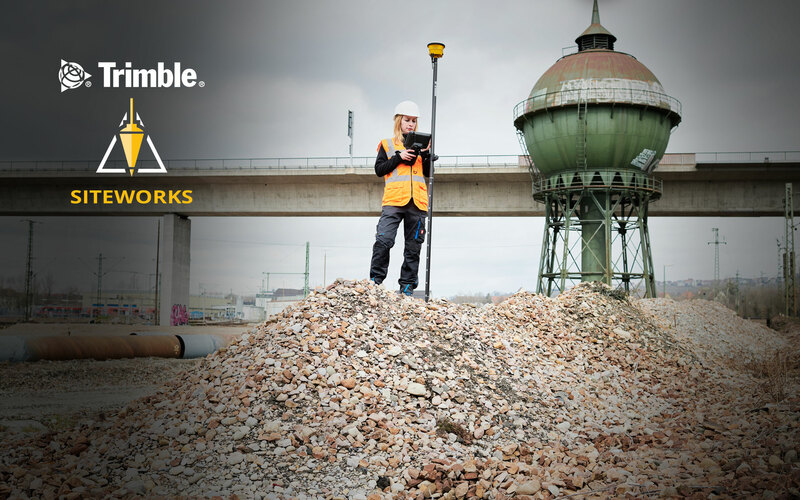 That’s why Trimble has developed two new rover systems for civil engineering and construction workflows - the Trimble Siteworks Positioning System for Construction Surveyors and the Trimble Siteworks Positioning System for Construction Supervisors. 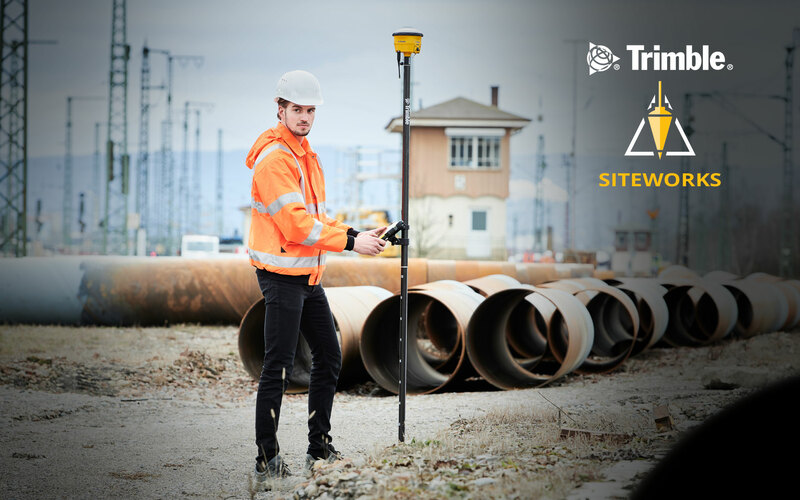 Featuring the bigger, better Trimble TSC7 Controller or the Trimble T7 or T10 Tablet, the Trimble SPS986 or SPS785 GNSS Smart Antenna and Trimble Siteworks Software, the Trimble Siteworks Positioning System is made for the way construction surveyors and supervisors work. Casey Cyrus, business area manager for Trimble Site Positioning Systems, shares some of the background behind the development of the new Trimble Siteworks system. 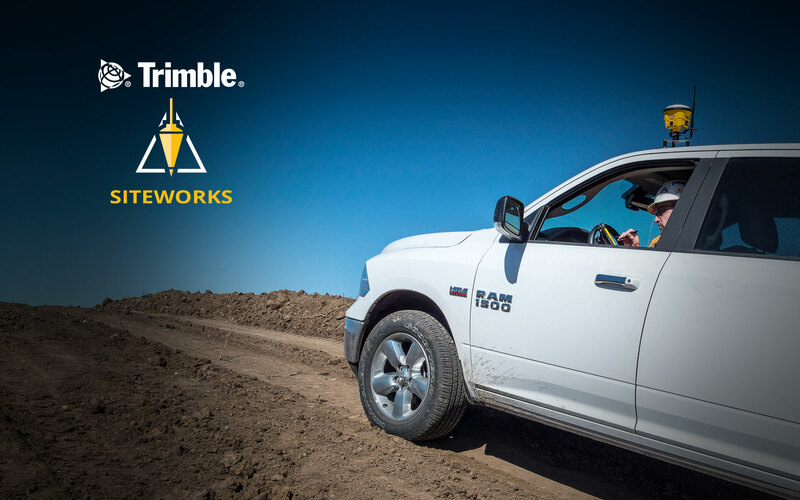 Q: We know the new Trimble Siteworks system is designed based on customer feedback. What did you hear from customers that led to increasing the screen size and reworking the interface? 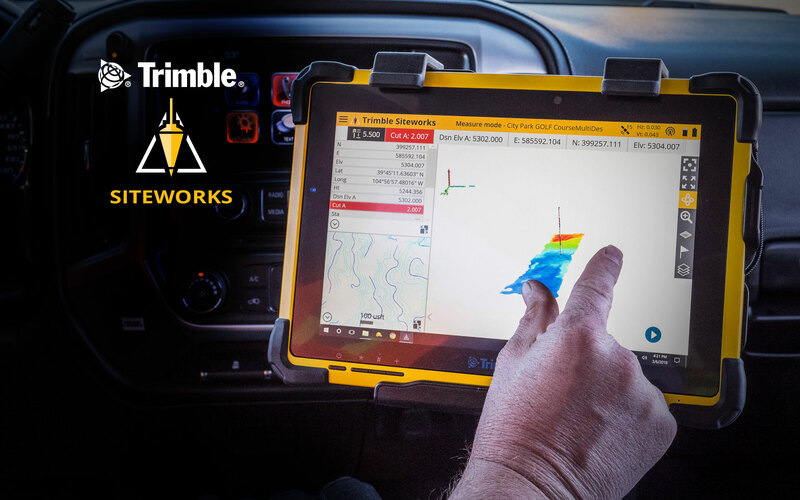 All Trimble products are designed based on customer feedback and input, including the new Trimble TSC7 and Trimble Siteworks Software. The Trimble Innovation Partner Program was designed a few years ago specifically to give our customers and dealers a channel to provide feedback and insight into our technology, and we rely heavily on that input when developing new products. When we started asking for feedback about the controller, the responses we received indicated that customers were looking for a device that combined the features they most liked from their personal tablet devices and from their Trimble controller. The result is the Trimble TSC7 – named for its seven-inch screen - with more power and a full keyboard to make it even more functional in the field. It is the only Windows 10 Professional device on the market, and the higher resolution and all-around readability of the screen makes it easy to use and interact with in the field. The ultimate goal of all of this is to make it easier for surveyors, to work with richer, larger data sets as they move toward taking their digital world into their physical world. Q: What did you learn from other industries? We actually took a lot of cues for Trimble Siteworks from Trimble Earthworks, the next-generation grade control platform that Trimble introduced last year. The Trimble Earthworks team invested a lot of time, money and effort into the Trimble Earthworks user interface. That team worked with researchers and UI experts who helped them really understand how people interact with their devices, and then used that knowledge to develop intuitive interfaces. Much of this insight was gleaned from the way people use their smart phones, iPads and other consumer handheld devices. 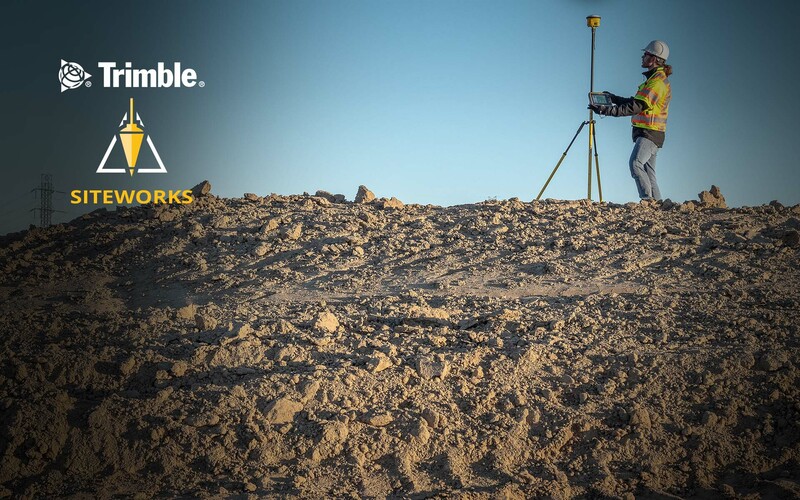 Our development team made a conscious effort to apply the knowledge from the Trimble Earthworks UI team to Siteworks. 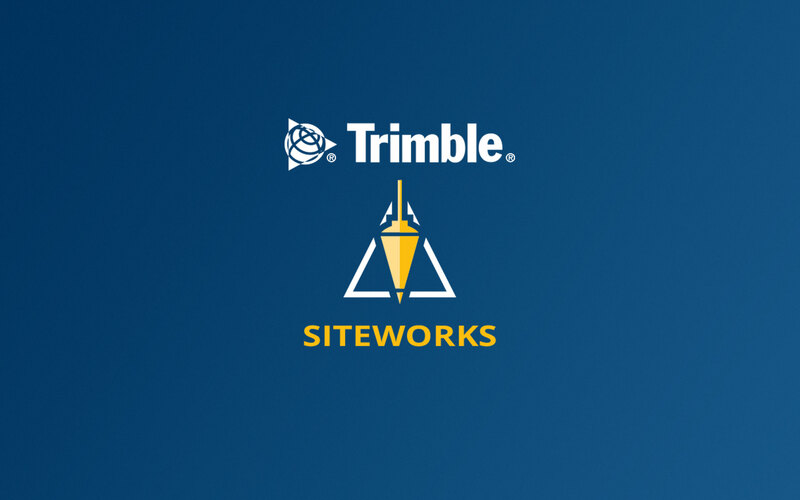 We were very intentional about using the same icons, look and feel, and even color schemes so that Trimble Siteworks feels familiar and comfortable to Trimble Earthworks users. We also put a lot of effort into making the controller ergonomic, well-balanced and easy to carry and handle in the field. 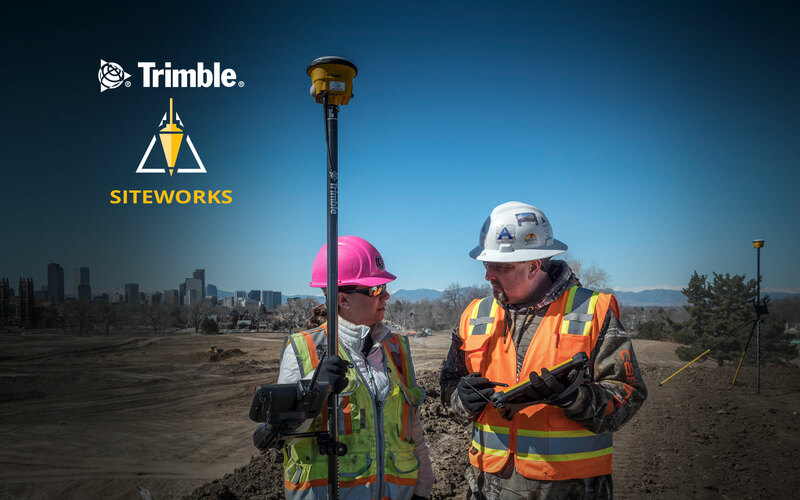 We will continue to use the insight gained from other industries, from other Trimble products, and from our users for future releases and development of the Trimble TSC7, Trimble Siteworks, and other products designed for the civil engineering and construction industry. 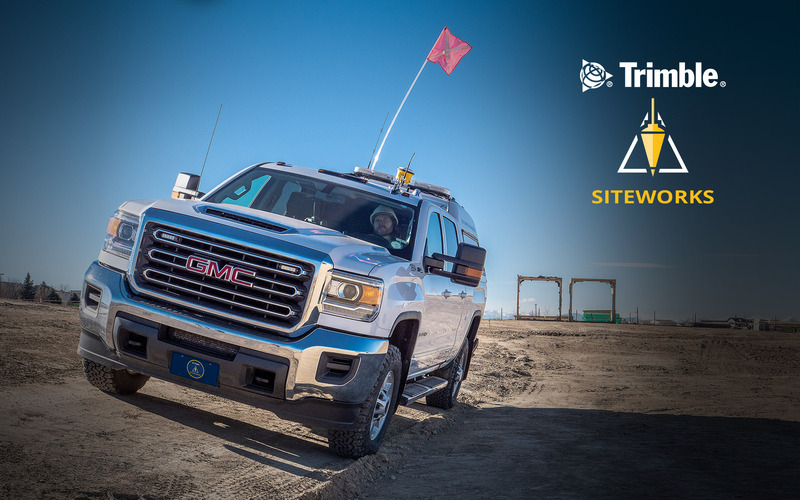 Q: What were the biggest obstacles in the development of the Trimble Siteworks system? The biggest challenge was that, in general, it takes more time to develop hardware than it does to develop software and we needed to release them both at the same time. We first began seeing 3D printed versions of the controller about two years ago, and from there it has just been a constant effort to fine-tune the form and functionality. The software has been in the works for about two years also. On the software side, we were really looking to create something new, we didn’t want it to just feel like an updated version of the Trimble SCS900 Site Controller Software. We put a substantial amount of work into the software development so that we could deliver a modern user interface and more up-to-date architecture, without changing the workflows that are natural to our Trimble SCS900 users. Q: What are the benefits of the new system for surveyors? And for supervisors? We think the biggest benefit to surveyors is the ability to work with complex 3D models and to collect large data sets easily from the field. This technology is designed for modern construction workflows. The interface on the controller was made for the way surveyors work, with its high resolution screen, sunlight readable display and backlighting for night use. And the Windows Professional operating systems puts the power of a laptop in the palm of a surveyor’s hand. 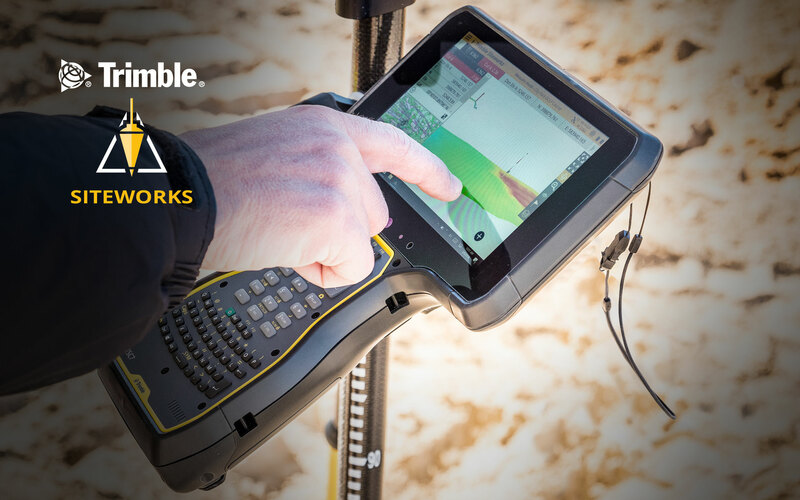 The Trimble Siteworks Positioning System for Supervisors is made up of the SPS986 GNSS Smart Antenna, the Trimble T10 Tablet, and Siteworks Software. It allows supervisors to run full office software packages, including Business Center – HCE and Microsoft Office, without carrying a laptop. Like the surveyors, one of the biggest benefits to supervisors is the ability to work easily with data and 3D models from a rugged device in the field. This all makes it easier for supervisors to see potential problems before they arise, and to work more productively and efficiently, with high performance power in the field.